“Powered Stranger” which is a Dating Simulator that definitely doesn’t take place in the Power Rangers Universe. 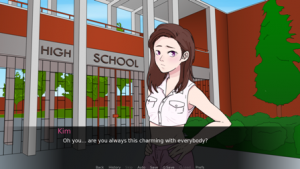 😉 In this parody game you’ll be a Stranger thrown into several timelines of the TV-Show and your mission will be to seduce the female Rangers. ?